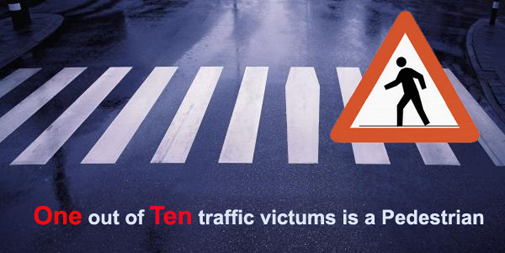 Consider to pedestrians, drive carefully and slowly when there are pedestrians about, especially in crowded shopping streets or residential areas. Watch out for pedestrians emerging suddenly into the road. Watch out for children and elderly pedestrians who may not be able to judge your speed and could step into the road in front of you. Allah has given you vehicle so respect those who have not.